Limited Run Games has announced that it will release a physical PS Vita edition of DARIUSBURST Chronicle Saviours in North America on June 23, 2017. 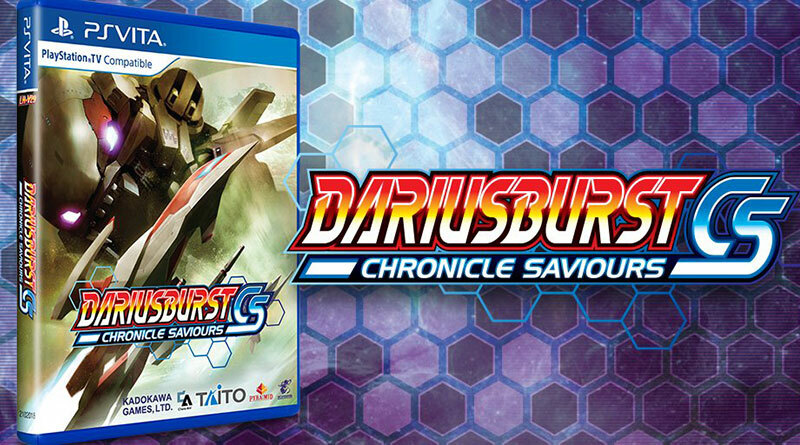 DARIUSBURST Chronicle Saviours is the latest instalment in Taito’s DARIUS series of arcade-style shooting games. Choose your ship, make sashimi out of hordes of alien sea-monsters, blaze your own trail through hundreds of branching environments, and enjoy a soundtrack by Taito’s long-running, avant-garde house band, Zuntata.